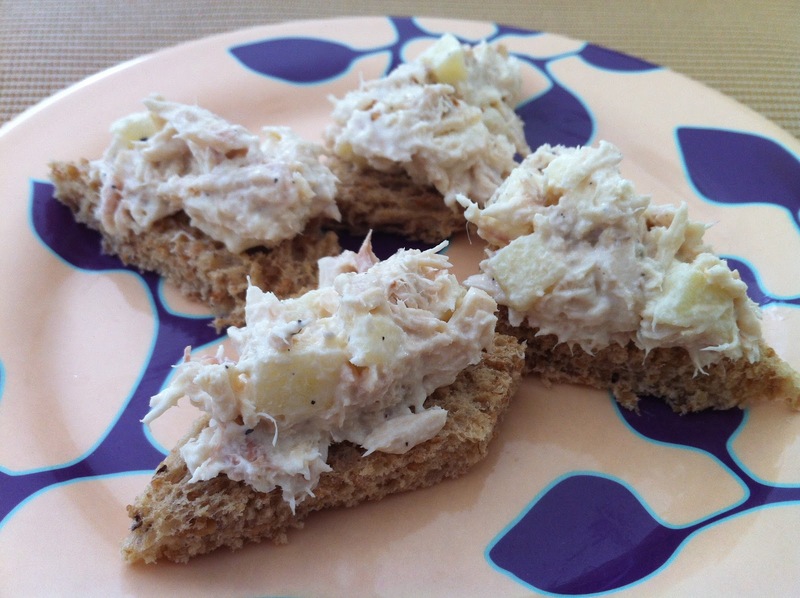 tuna salad open sandwich | what is clara eating today? Toast the bread with butter spread on top. Mix Tuna, apple pieces, and mayonnaise. Season with salt and pepper to taste. Cut the bread into four pieces, and top each one with 1/4 of the tuna salad. Celeries work well instead of apples for better ratio.